I know, I know...everyone seems to be saying that lately, but it really is the most genius system. A visual way to keep your bookmarks where you can easily view them and find their original source...GENIUS! So for every party that I work on, I create a board and start pinning. 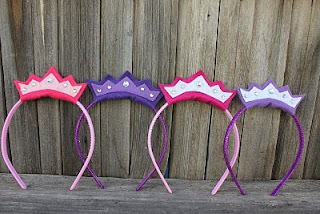 I admit, my Princess party isn't very big...I've just been too busy creating to pin, but I wanted to share with you some amazing Princess Crowns that I've come across. 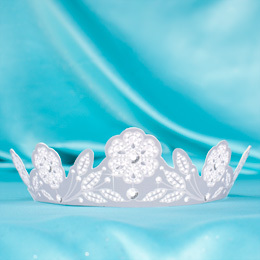 After all, you can't have a Princess Party without a crown for each and every Princess! We Talk of Christ shared these Princess Party Crowns made from cardboard and fabric. Lu Bird Baby shared these Princess Tiaras made from a headband and some felt. Family.com shared this Tiara Printable made from card stock. Love. Luck. 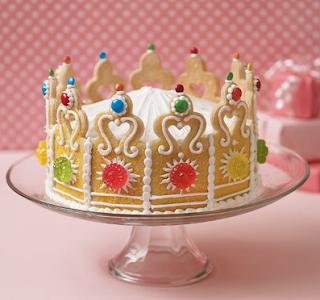 Kisses and Cake shared this Princess Crown cookie cake. 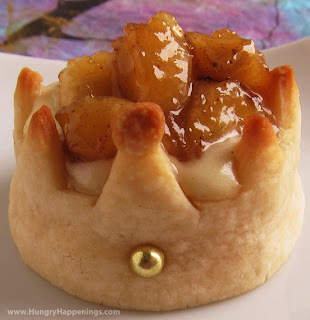 Hungry Happenings shared this Princess Pastry Crown made from pastry and bananas! If you want to see my whole Princess party board, you can see it HERE. There are so many amazing party ideas out there that I can't wait to fill out my board and create the perfect party. I'll be following the princess board-love all the fun ideas.